The volcanic island of Arop, known as Pono by its people, was named Long Island by William Dampier in 1700. A catastrophic eruption destroyed most life there around 400 years ago and created an ash cloud across the region. The 'taim tudak' (time of darkness) even ruined crops in the highlands of Papua New Guinea and led to widespread famine. When people returned to Arop during the 19th century, stone figures such as these were unearthed in gardens, the story of their makers and purpose unknown. 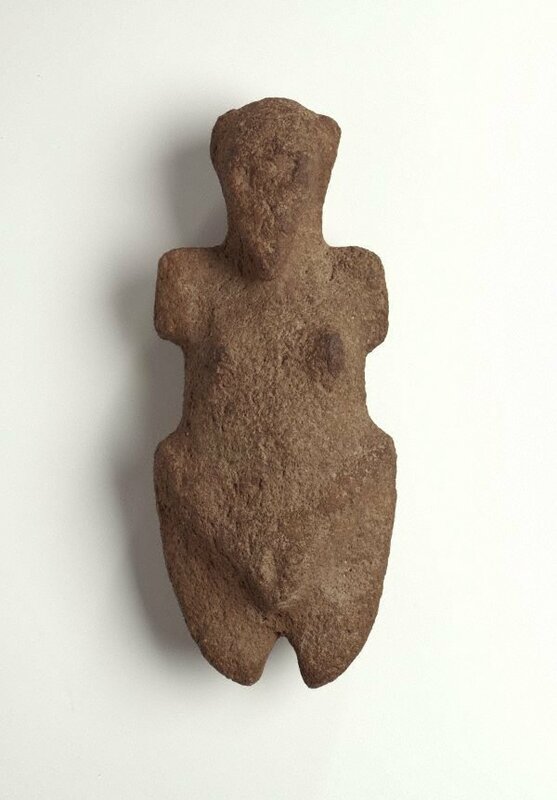 Anthropomorphic stone figurines found in the highlands of New Guinea were believed to be repositories of powers of fertility and growth. They were used primarily in ritual activities, until Christianity largely replaced indigenous ceremonial practices.